Ideally situated near places of worship, this six bedroom, renovated home in Athlone is marketed by Pam Golding Properties for R2.6 million. It includes ample parking. Affordability, family ties and strong community bonds keep the broad-spread suburb of Athlone, which lies to the east of Cape Town’s city centre, in demand among home buyers, according to Charlton Williams, Pam Golding Properties area principal in Athlone, Belhar and Goodwood. “Athlone and each of its ‘sub-areas’ has its own culture and is vibrant and unique in all respects, which greatly contributes to resident retention. Communities have formed with strong bonds developed over time, based in many instances on religious places and heritage. Once your roots are embedded here, it tends to become less likely that you will want to move out of Athlone – hence the migration from one suburb to another in the Greater Athlone area, with the younger generation purchasing within these same boundaries”. Athlone comprises an array of medium to high value suburbs such as Crawford, Penlyn Estate, Belgravia, Belthorn Estate, Rylands, Gatesville, Vanguard, Welcome and Surrey Estates. 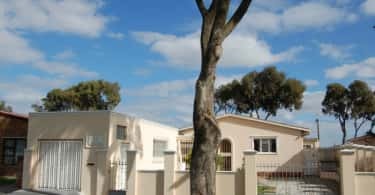 While Crawford is the most preferred suburb, the Athlone area also includes lower cost, high density areas such as Hanover Park, Bonteheuwel, Bridgetown, Kewtown, Heideveld and Manenberg. Overall the area is easily accessible to Cape Town’s central city, Southern Suburbs and key highways. Bus and taxi routes are in good use and road works have commenced along the Hanover Park Cape Town route for MyCiti to come into play. Athlone is also about 9km to the west of Cape Town International Airport. 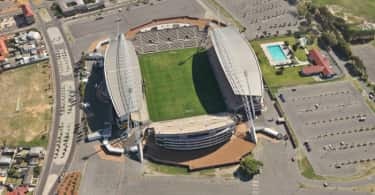 Home to the well-known Athlone Stadium, situated in Klipfontein Road, which hosts large football matches and other events, the area incorporates Vangate Mall located on Vanguard Drive as well as a number of mini-malls including Kromboom Centre on the corner of Kromboom and Jan Smuts Drive in Crawford. This centre offers an array of eateries including The Lounge, Zaaikas fire foods, a deli, Hookah bar as well as Arabian Nights just down Kromboom Road. Wembley roadhouse in Belgravia Road, Belgravia, is still an iconic eatery for residents of the Cape Flats and Southern Suburbs. Citing examples which demonstrate the value for money on offer in Athlone’s residential property market, Williams says a standard two bedroom property in the lower valued areas such as Bonteheuwel and Hanover Park can sell for R300 000 to R400 000, providing more affordable homes for first time buyers. In the higher valued suburbs such as Crawford and Penlyn Estate, one may find a standard three bedroom property selling for R1.8 million to an extended and renovated property marketed close to R3.5 million. Says Williams: “While it varies, most recent residential property sales are in the price band between R400 000 and R1.6 million and spread from Heideveld through to Belgravia”. Williams adds that rental units are also popular in Athlone, mostly attracting family tenants. Two bedroom apartments are leased at around R3 500 to R4 000 per month with freestanding two and three bedroom properties generating rental income from R5 500 to R7 000 per month. Another area which is attracting home buyers whose focus is on value and affordability is Belhar, a suburb just over 14km further east, which comprises a number of extensions. These include Old Belhar, where homes are priced between R900 000 and R1.6 million for three bedrooms or more; Musicals, with house prices mainly from R750 000 to R1 million for three bedrooms; Mimosa Village and Selfhelp where residential property goes for between R450 000 and R700 000 mostly for two to three bedrooms; Pentech with prices of R350 000 to R600 000 for two to three bedrooms and Extension 13 in the price bracket from R300 000 to R450 000. The Belhar area is bordered by the R300, Stellenbosch arterial and Robert Sobukwe Road with easy access to the N2 and to Cape Town International Airport. It is home to two universities, two shopping malls – Airport Mall and Cavalier Centre, and Erica Shopping Centre that is currently under construction. Home buyers are mostly first time buyers for the areas of Pentec, Selfhelp and Extension 13. These also ‘feed’ family buyers to Musicals, Mimosa Village and old Belhar – the latter being areas which also attract investors because of the close proximity to the University of the Western Cape and Cape Peninsula University of Technology. 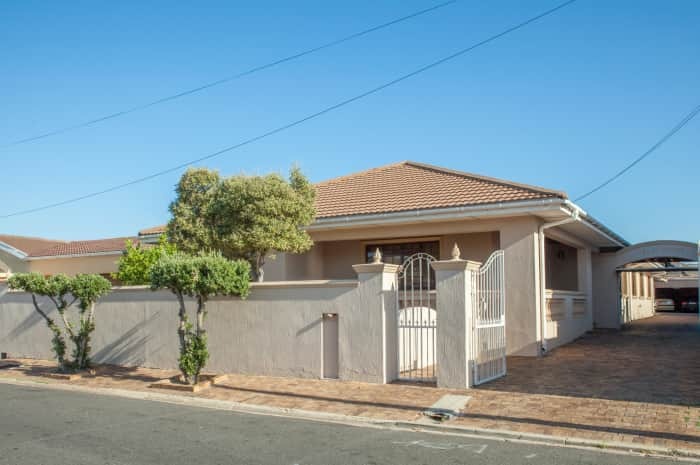 Glenhaven is another well established area close to the universities with three bedroom flats selling from R600 000 and houses between R1 million and R1.6 million. The demand for student accommodation in the Belhar and Glenhaven areas is growing, while academics and staff are also moving closer to their place of work.